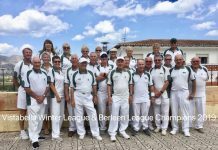 SAN LUIS BOWLS CLUB REPORT 11.11.16. Sheila Cammack. The week didn’t start too well but gradually improved. South Alicante Winter Triples: Monday 7th November, Enterprise Division (A) SL Klingons home v MM Matadors; a close result but some useful points 8-6, 107 shots-101. Winners: Steve Simmons, Sabrina Marks, Russell Marks 19-7, Pam Lockett, June & Keith Jones 21-16, Shirley Verity, Jo & Jules Pering 22-15. SL Trekkers away v Quesada Pearls, started ok but gradually succumbed to a strong team; points 2-12, shots 93-139. Well done to Ros Holmes, Sue Ross, Ray Robson 23-15. Discovery Division (B) SL Romulans, home v ER Pintos, had a tough time: finishing 4pts-10, shots 88-134. Winners: Derek Smith, Kevin Hull, Phil Hasler 24-13, Margaret Stephens, Terry Baylis, Geoff Shand 19-13. Winter League: Wednesday 9th November, an early start travelling to Benitachell. But on the green unfortunately we lost our way, so not a good morning, 2pts-10, 64 shots-103. Winners: Shirley Verity, Ray Clarke, Jules Pering, Russell Marks 18-14. Our Berleen team, had another good result, well done to: Steve Simmons, Mike Lockett, Jo Pering, Vic Slater. 24-12, taking the 2pts. Premier 20 K/O competition v Bonalba, a good result: our away team won 3-1, pairs: June & Keith Jones 40-6, 3’s: Pam Lockett, Keith Phillips, Sabrina Marks 21-10, & 4’s: Shirley Verity, Jo & Jules Pering, Russell Marks 17-14, & 2-2 at home, 3’s: Irene Everett, Ray Pollock, Roy Cordell 11-10, & 4’s: Allen Bowen, Ray Clarke, Charlie Marigold, Sue Cooper 32-7. Next round; Benitachell. Friday 11th November, LLB Southern League Division A: SL Lions had a good result at home v LM Sharks; shots 125-81pts 11-3 Winners: Ray Clarke, June & Keith Jones 24-9, Bob White, Steve Simmons, Scott Malden 18-6, Kath Reid, Keith Phillips, Phil Morrachan 17-17, Ann Holland, Ray Pollock, Giuseppe Galelli 34-13, Mike & Pam Lockett, Roy Cordell 22-10. SL Tigers were home v MM Matadors and pulled off a great result; points 12-2, shots 101-86. 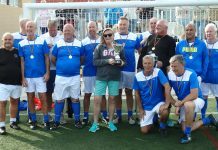 Winners: Pat Malden, Marina Beardsall, John Malden 19-15, Sue Ross, Les Bedford, Sue Cooper 16-11, Margaret & Barry Roseveare, Barry Edwards 13-9, Irene Everett, Dave Tilley, Vic Slater 24-13, Judy Carroll, Derrick Cooper, Ray Robson 18-14. Division C: SL Pumas had a tough game away at EI Outlaws; points 1-13, shots 75-107. Well done to: Dennis Jackson, Geoff Francis, Ken Dullaway 13-13. Very well done to all San Miguel SABA teams, all winning their Monday games. The Pulsars had a great result playing La Marina Explorers at home winning 12-2. Anita Brown, Sheila Booth, Michael Douglas 27-10: Alan Booth, Peter Rees, Paul Thomas 21-17: Eileen McLaren, Tom Dalgleish, Eddie Cowan 19-8: Pat McEwan, Bill Knight, Dave McEwan 23-19: Irene Ward, Keith Green, Brenda Rees 24-18: Shots for 124 – Against 93.. The Comets were away to Monte Mar winning 10 points to 4. Bill & Joyce Reeves, Bill Brownlee 19-13: Bob Nesbitt, Dave Champion, Barbara Scotthern 26-6: Dave Bradbury, Martin Cranstoun, Carl Eagle 19-12: Joy Trew, Peter Ross, Jack Jackson 14-11. Shots for 100 – Against 78. The Meteors won 10-4 against Vistabella Albatrosses. The shots were extremely close 106 to San Miguel, 104 to Vistabella. Allan Patterson, Gail & Fred Willshire 18-16: Reg Cooper, Lee Sinclair, Stuart Denholm 21-12: Noel Davis, Brian & Lyn Miller 29-17: William Holtham, Mick Rogers, Stuart Hemmings 19-16. In the Southern League, the Jaguars were at home against El Rancho Mustangs winning 3 rinks and the overall shots by 3. Pat McEwan, Mike Douglas, Dave McEwan 22-11: Sue Milner, Sheila Booth, John Staden 19-16: Anita Brown, Tom Dalgleish, John Marshall 17-10. Points for 8 – Against 6. Shots 95 to San Miguel – 92 to El Rancho. The Cougars managed to pick up 4 points at La Siesta, very close on shots, 104 to San Miguel – 110 to La Siesta. Bill Reeves, Frank Scotthern, Bill Brownlee 23-8: Bob Nesbitt, Dave Champion, Ann Eagle 15-13. At 11am on Friday 11th November and Sunday 13th, San Miguel Bowls Green held a minutes silence in memory of all those who lost their lives for their country, and many thanks to Debbie, the Chef at Cheers Bar, who gave a superb rendition of the Last Post on her trumpet. The WASPS are proving extremely popular on Wednesday afternoons. Come along at 1.30, 5 euros for an afternoons bowling, shoes, woods and free tuition if required. 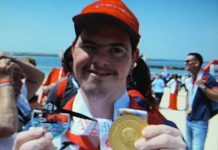 No dress code – suitable for all abilities. We have had numerous enquiries about our Club Mornings. Bowlers are welcome to join us on Sundays, Tuesday and Thursday mornings, 0945 for 1015 start. 5 euro visitors fee, players must wear white or grey trousers/shorts and white tops. 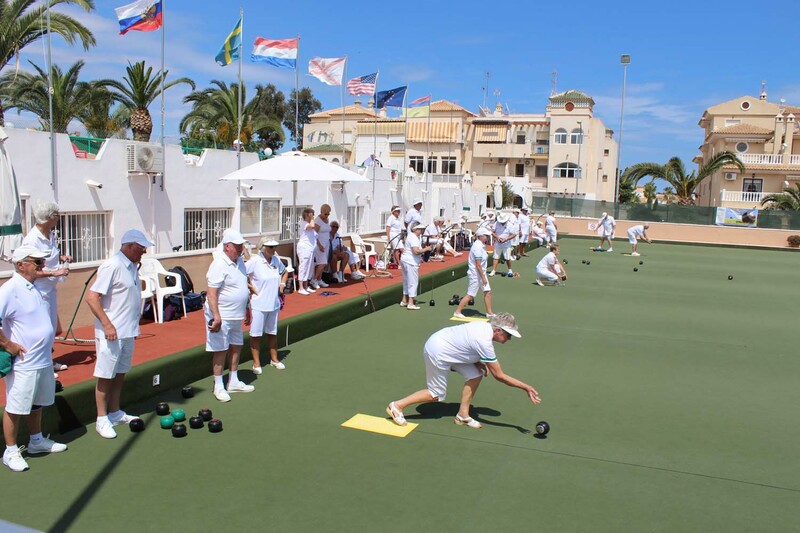 For further information on San Miguel Bowls Club, please contact the President, Eileen Potts telephone 966730376 or Secretary Pat McEwan telephone 966714257. Not much to write home about this week! In S.A.L. Enterprise league. 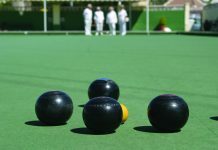 The Albatrosses still chasing a win got very close playing the San Miguel Meteors at home on Monday, two winning rinks and two rinks falling at the last, losing the long game by two shots. Winning rinks, L Bishop, T French & M Furness 28-8. O Ratcliffe, A Brown & K Cuthbert 15-11. Shots, VB 104 (4) – 106 (10) SM. The Drivers did a little better at Greenlands playing the Maples, two winning rinks plus a drawn rink. J Chaplin, S Norris & I Kenyon 23-14. F Barclay, B Ewart & G Thorpe 20-15 and S Jenkins, A Leggatt & Carol Thorpe 18-18. Shots, VB 101 (5) – 109 (9) G.
Voyager league Eagles took three wins against the Emerald Isle Moonrakers and narrowly losing out of the long game. Well done to M Blight, D Stevenson & P Tomkins 29-18. R Savage, K Savage & A Kendall 17-12. S Cox, P Cadwell & M Cox 15-11. Shots, VB 98 (6) – 99 (8) EI. Not a good result from the Winter League, playing La Siesta at home we only had one win, very disappointing! O Ratcliffe, C Watkins, B Dunn & I Kenyon 18-11. Shots, VB 70 (2) – 79 (10) LS. Well done La Siesta. No Berleen played. Southern League Div. 1. The disappointment continued onto Friday with the Lanzadores failing to find form and letting the Emerald Isle Cavaliers take ten points from them, their two winning teams were L Watkins, S Burrows & M Furness 19-10 and J Chaplin, StJ Broadhurst & I Kenyon 18-15. Shots, VB 86 (4) – 105 (10) EI. The Picadores struggled at Quesada losing all but one rink to the Swallows. Well done D Gunning, B Corbishly & G Thorpe 21-13. Shots, VB 73 (2) – 128 (12) Q.
Div.C. 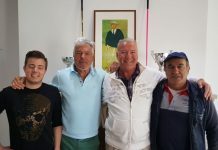 The Conquistadores showed the rest of us how to do it, playing the La Siesta Golds at home they managed four wins with a good shot difference, D Graham, J Harwood & P Bagwell 26-9. D Harwood, M Blight & D Hudson 26-12. 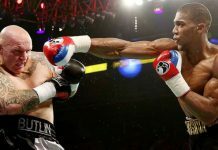 L Prockter, D Stevenson & B Prockter 23-9. R Savage, K Savage & G Gandy 20-11. Shots, VB 128 (10) – 83 (4) LS. Vistabella are offering new bowlers a free morning of bowling on a saturday morning with an hour of tuition. Sponsored by Autos Direct, TV Choice & Rivingtons Restaurant. A very unfortunate day at Emerald Isle for the Apollos. La Siesta achieved two wins. Dawn & John Taylor with Harold Charleton winning 21 – 13 and Ann & Robert Heath with John Ball continuing their unbeaten run 19-18.Barbara & Jack Cooper with Irene Mangan lost by 1 shot (18th end)13-14and Beryl Styring, Brian Harman and Alex Morrice lost by 1 shot (18th end)14-15.Sheila Chorley with Trish and Pat Reilly lost by 2 shots( 18th end) 15-17. The overall shots Shots 91 – 97 Points 4 to La Siesta and 10 to Emerald Isle. A different story for La Siesta on Wednesday in the Winter League, away at Vistabella, where a brilliant performance saw La Siesta triumph by 79 shots to 70 in a close encounter winning on 4 of the 5 rinks thereby gaining ten points to their opponents two. A great team performance so difficult to mention individuals. What a game on one rink though where in 18 ends 23 shots were shared with Sheila Chorley, Fred Charman, Brian Gardiner and Alex Morrice winning 12-11 against a rink skipped for Vistabella by La Siesta old boy Gary Thorpe. 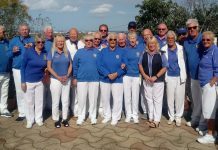 The Blues were at home to San Miguel Cougars and won by 110 shots to 105 winning on 4 rinks and taking the points 10-4.Star rink for la Siesta was Irene Laverick, Pat Harman and Irene Mangan winning 29-14 whilst the tightest match saw Dawn Taylor, Trish Reilly and Harold Charleton winning by a single shot 23-22. The Golds visited Vistabella on a pleasant afternoon but were beaten by 128 shots to 83 losing the match by 10 points to 4. Winning rinks for La Siesta were Jean James,Tony Campbell and John Lincoln 21-15 and Hilary Clarke, Sheila Millward and Johnnie Ryder 21-18. Monday 7th November. 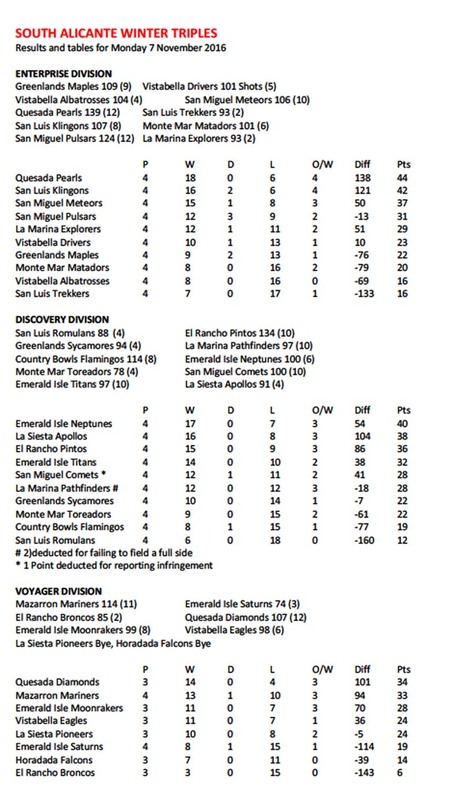 Monte Mar Toreadors v San Miguel Comets. A chilly start to the day weather wise which was matched by a slow start for the Toreadors, who were down on all six rinks early on. We did improve to win on two rinks and losing narrowly on two other rinks. A good over all win for the Comets winning, 10 – 4 points Toreadors. Shots Comets 100 – 77 Toreadors. Well done to our winning rinks of Cliff Norris, Pauline Woodfine and Skip Barrie Woodfine. Wendy Sheridan, Howie Williams and Skip Danny King. Monte Mar Matadors v San Luis Kingons. Winning on tree rinks, well done to – Geraldine Fisher, Harry Dobson, Skip Gordon Fisher 17 – 16. Ethel Finan, Val Hignett,Skip Tony Finan 19 – 17. Keith Simpson, Mike Farrelly, Skip Bill Young 17 – 12. Wednesday 9th November. Winter League away to Quesada, we expected a tough game and that is what we got. But we did not let ourselves down winning on two rinks and also winning the Berleen. Monte Mar 4 – 8 Quesada. Friday 11th November. Monte Mar Matadors v San Luis Tigers. The Matadors were away to San Luis Tigers, only winning on one rink. Well done to Keith Simpson, Mike Farrelly, Skip Bill Young. Shots Matadors 86 – 101 San Luis Tigers. Points Matadors 2 – 12 San Luis Tigers. On Monday morning The Broncos, played host to Quesada Diamonds who are always a tough opponent and although the score was 5 rinks to 1 in favour of Quesada, I note that several rinks were close. 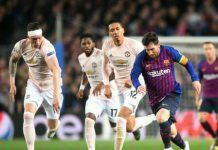 Often whether you win or lose is purely dependent upon who you are drawn against, but much more important is the spirit of the match and enjoying yourself in good company. In the afternoon The Pintos were entertained by The Romulans at San Luis and put on a fine display to take the rinks by 4-2 and the overall shots by a reasonable margin, a good result away from home. Placing them in third place in the league, though it is a long journey to season’s end. Friday Morning found The Mustangs at San Miguel playing The Jaguars, always one of our tougher fixtures and great fun. It was a very close match with both teams taking 3 rinks and only 3 shots difference in favour of The Jaguars, a very good result for The Mustangs away from home. June Whitworth, Jane Hamill and Stew Hamill 21-14. Barbara Jones, Merv Armstrong and David Whitworth 16-19. Jim Taylor, Irene Thomson and Eddie Thomson 17-15. Ann Taylor, Malc Sykes and Jim Gracie 11-22. Maxine Wright, John Skipper and Rod Wright 10-17. Henry Ryder, Jan Bright and Richard Lee 17-8. In the afternoon The Raiders played The Roundheads at Emerald Isle for a difficult match against a strong team. Alas they came away with just the one rink, but there is no shame in that and I am sure the company was good. In the Enterprise Division the Maples were at home to Vistabella Drivers, Final result was as follows…..Total shots for – 109. Total shots against- 101. Points for – 9. points against – 5. Highest scoring rink were – Ann Butterworth, Dave Dudding, and skip Dave Thompson.25 shots to 16. 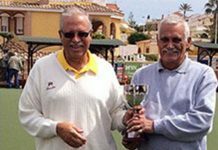 In the Winter League Greenlands were at home to Javea Green, Final score was – Total shots for – 82. Total shots against – 95. Points for – 4. Points against – 8. Highest scoring rink for Greenlands were – Sheila Stead, Joan Oliver, skip Mel Brown. 27 shots to 16. In the Southern League The Oaks were away to Mazarron Miners, Final scores were as follows ……..Total shots for – 94. Total shots against – 100. Points for 6. points against – 8. Highest scoring rink was – Zoe Wilcock, John Newell, Skip Jim Wilcock. 25 shots to 10. Club Notifications — Fed 4s Meeting to select Captain / vice Captain + Selector on Saturday 19th November 1300 hrs.